Keeping and bringing up a dog is a lot of fun. Life with a dog by your side will be full of adventure and love, but it can also mean hard work. 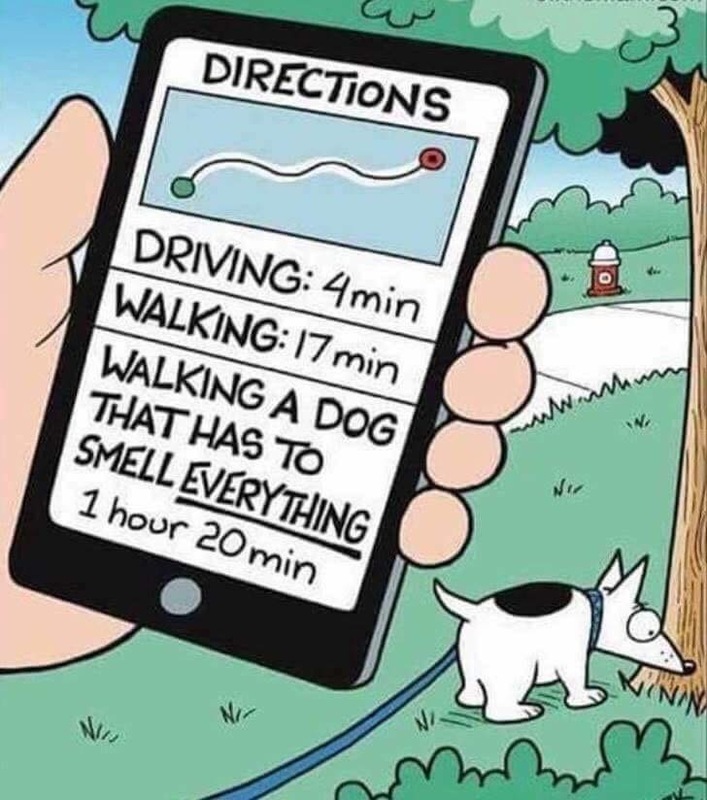 Dogs require high levels of care, so if you’re dying to be a dog owner but don’t have lots of time on your hands or the energy to keep up with big walks and runs, you’ll need to think about the breed you choose carefully. High energy dogs are always ready and waiting for action. Originally bred to perform a canine job of some sort, such as retrieving game for hunters or herding livestock, they have stamina to put in a full work day. High energy dogs require a significant amount of exercise and mental stimulation and they’re more likely to spend time jumping, playing and investigating new sights and smells. Low energy dogs on the other hand, are the couch potatoes of the canine world. 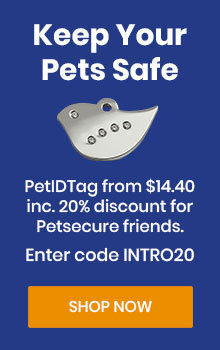 Bred to be companion dogs, these dogs are quite content to doze the day away on the sofa and snuggle up alongside you. If you don’t have the time or energy to handle a high energy pooch, look for a low energy, relaxed-style breed. While they will still need walking each day, these low energy dogs may require less attention in terms of care. Alternatively, you could consider rescuing an older dog whose personality is already set in. 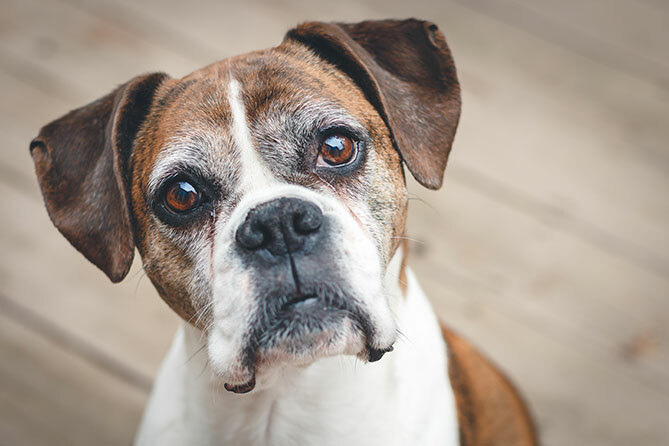 With an older dog it’s easy to see what kind of energy levels they have, whereas when getting a puppy, you can only presume that they’ll develop the common characteristics of their breed. An added bonus is that you’re giving a beautiful, furry animal another chance at life. The Basset Hound is a good-natured, relaxed, social and slow-moving dog that is excellent with children. 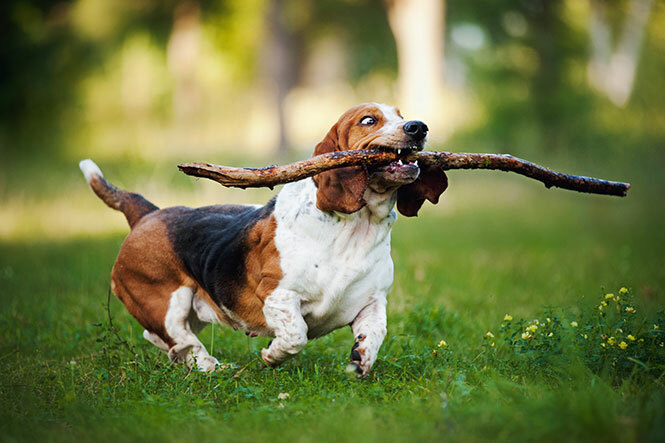 Requiring only mild exercise, such as a short walk or play in the backyard, Basset Hounds are one of the most easygoing of all dog breeds. They can, however, be a little stubborn, so if you are hoping to train them easily, you may wish to look for an alternate breed. 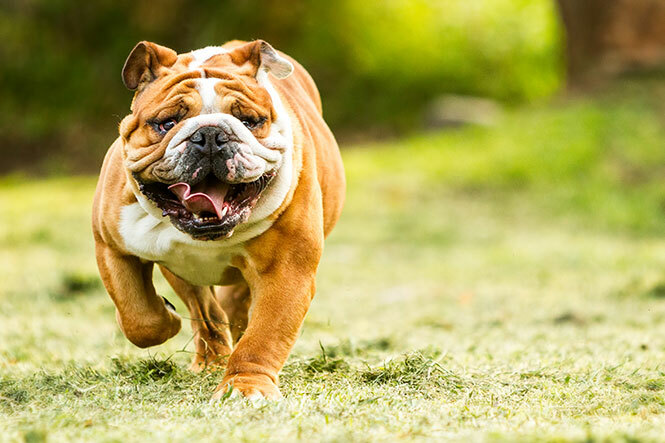 Once used to catch big game for hunters, today’s Bulldog is friendly, affectionate and rather slow-moving. 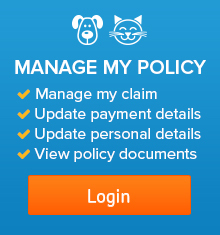 They are one of the most devoted low-energy dogs out there, and remain ever faithful to their owners. Gentle and protective with children, Bulldogs make excellent family pets. 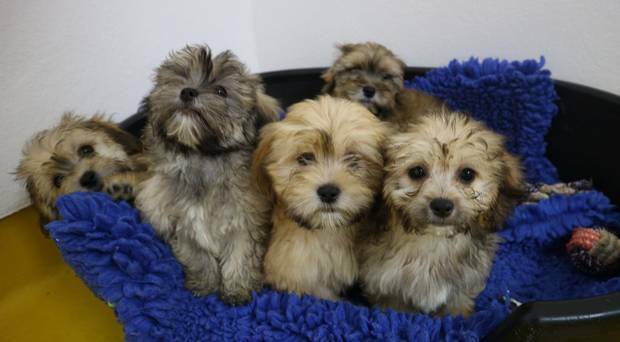 They also need minimal exercise and will love nothing more than a cuddle in your lap. 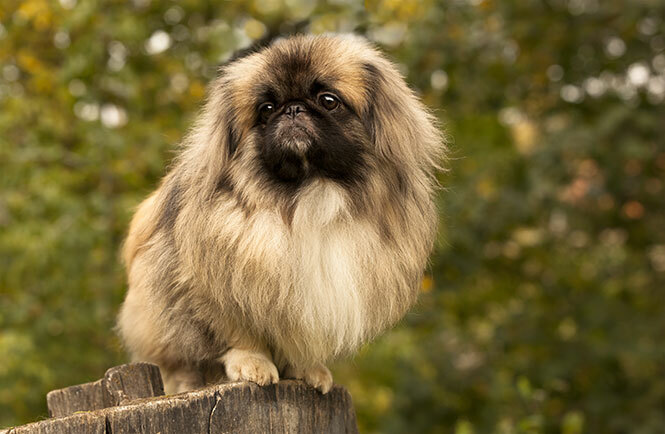 The Pekingese is a very popular dog among the Chinese and is considered an excellent apartment dog because of his light weight and docile personality. Perfect as a lap dog for the elderly, the Pekingese will make a loyal friend. If you have small, energetic children in the home, they may cause distress for this lazy-type breed, so keep looking if you have a young family. 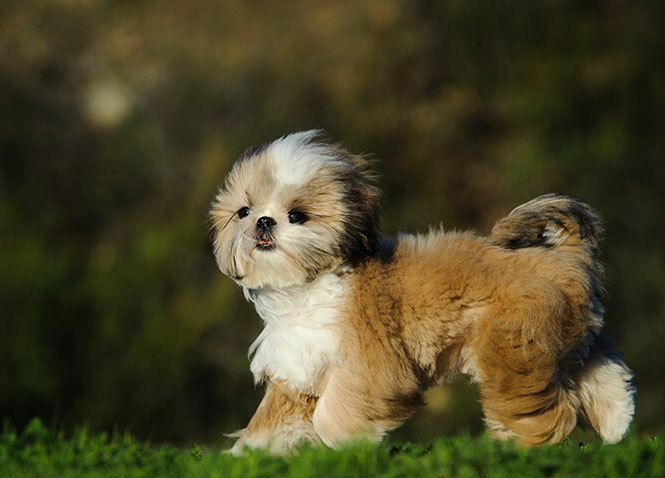 A wonderful family dog, the Shih Tzu has a calm and domestic nature and makes an excellent lapdog with their soft, fluffy hair. 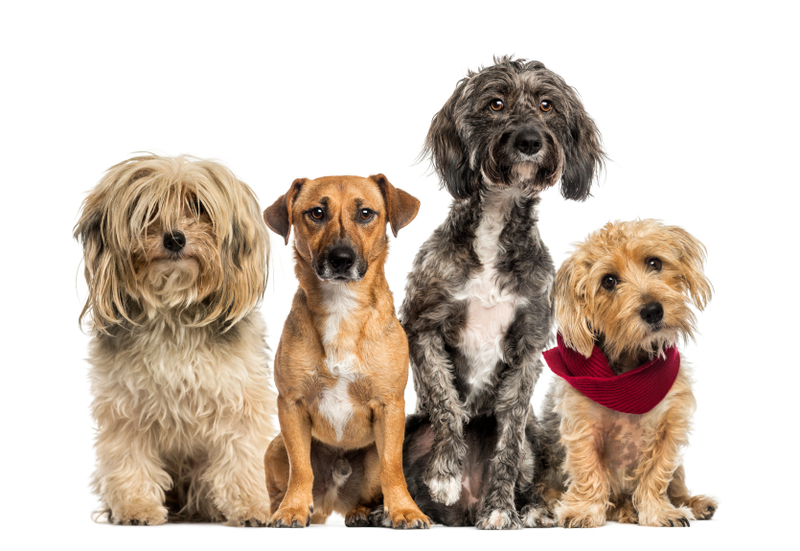 Although considered low energy dogs, these dogs do require daily activity and will need a medium-length walk each day. 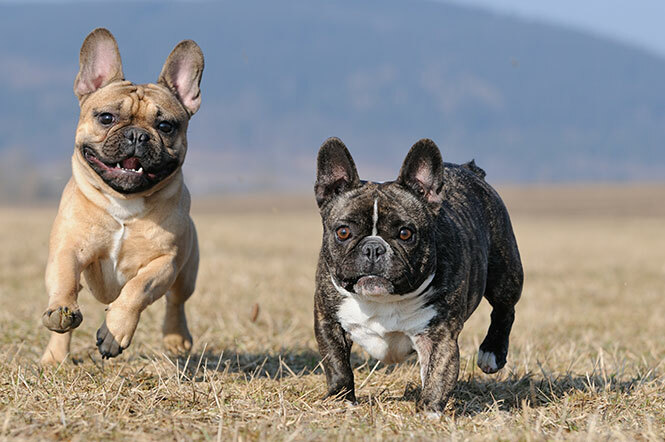 The French Bulldog has a fun loving nature that’s ideally suited to young, playful children. He gets attached to his surrounding people quickly and behaves well-mannered in front of strangers. Always willing to please, he makes a great companion and will listen to instructions well. 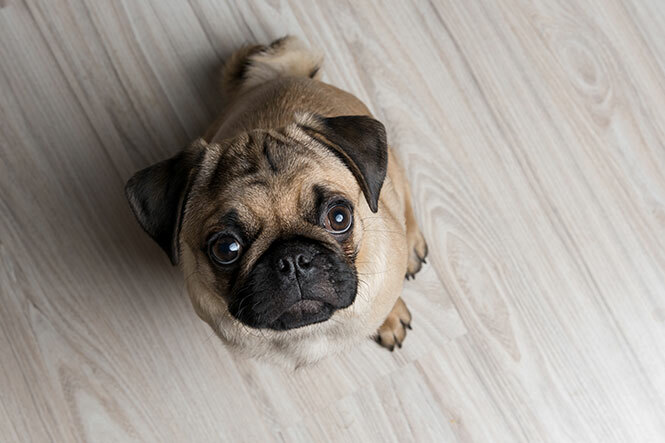 The pug is one of the most charismatic and physically distinctive dogs in the world. Sensitive to heat and humidity, they should be kept cool indoors during extreme heat, however when exercising them regularly, you will get to see more of their playful personality. 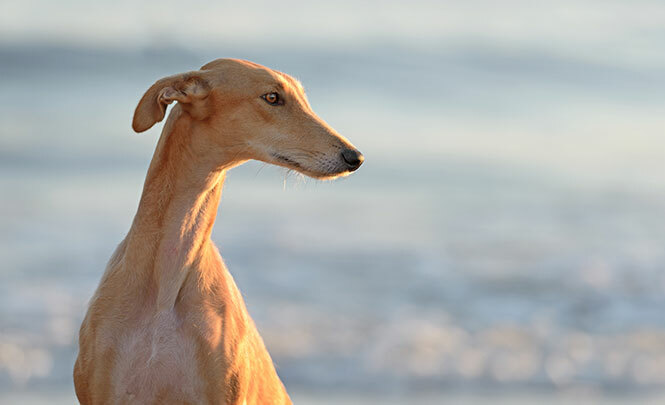 Because of their racing background, you could easily be fooled into thinking that a Greyhound is a high energy dog but in fact, the Greyhound is quite happy just to chill. 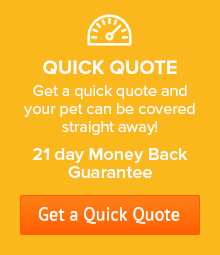 Well-behaved and gentle, they love being part of a family and will be fiercely loyal. Too much crowding, however, can irritate them, and when you do let them off for a run, be prepared for speed. 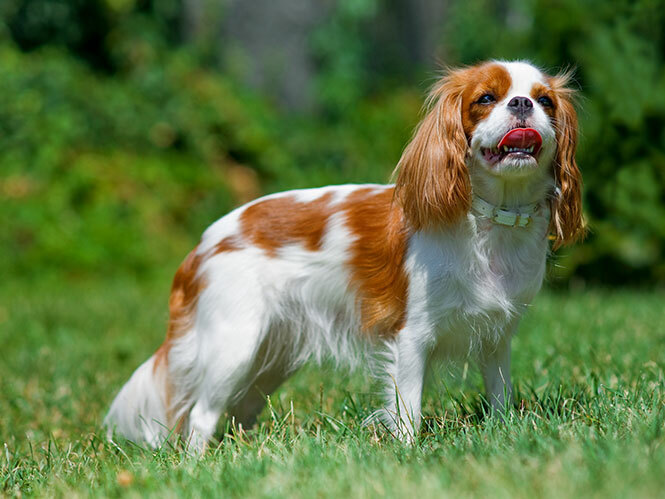 English Toy Spaniels show a lot of attachment with children, but can scare easily when exposed to loud noises. 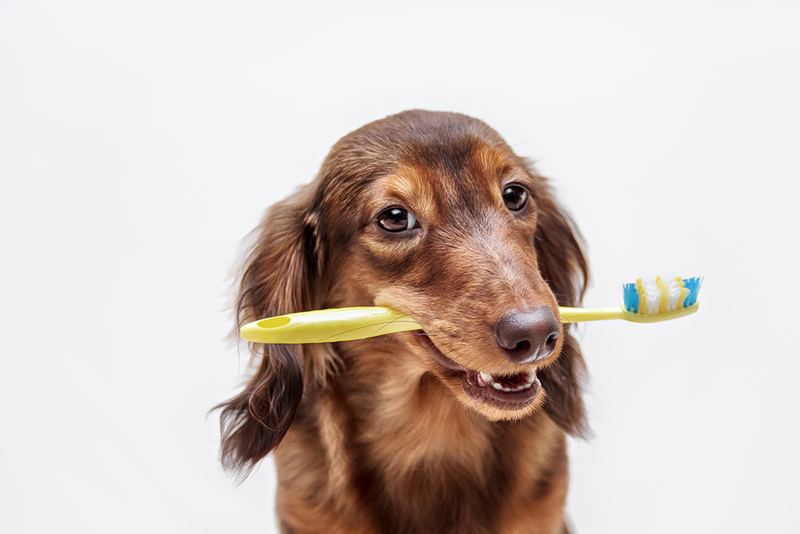 A gentle and soft nature is required when training this dog, as a sharp voice will send him scooting off to the corner. 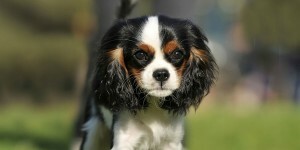 Quieter and more reclusive than their Cavalier cousins, they tend to prefer a single person home. 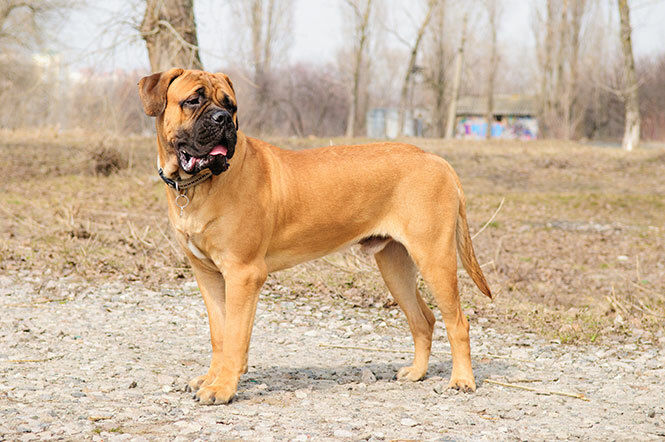 The Bullmastiff is a strong, powerfully built dog with great intelligence and a willingness to please. An ideal family companion and protector, the quiet and gentle Bullmastiff requires a loving but firm home. If you consider yourself timid or delicate, this is not the breed for you. One short walk away will keep them happy. The gentle nature of these cute little dogs makes them excellent therapy dogs. Quiet and affectionate, they are eager to please their owners and friendly towards other animals and strangers. Happy as either a city or a country dog, they require a medium-length walk each day. 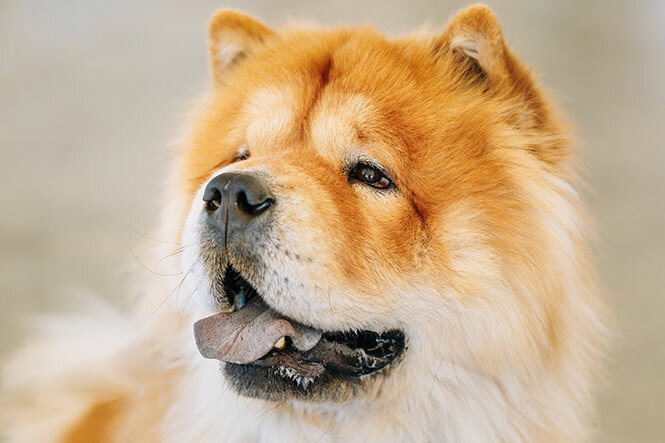 The Chow Chow is a stubborn and independent dog that’s reserved, dignified and even regal at times. Sometimes hostile towards other dogs and strangers, it craves attention from its owners so will stay by your side when at home. This breed enjoys being outdoors in cooler weather, but should be kept indoors when the weather is hot and humid. 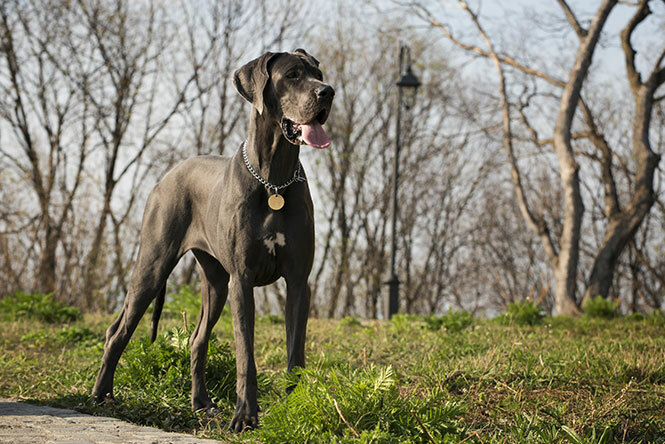 Developed in Germany, the Great Dane is sometimes referred to as the “Apollo of Dogs”. Highly regarded for his majestic appearance and carriage, they’re friendly towards most animals and strangers. 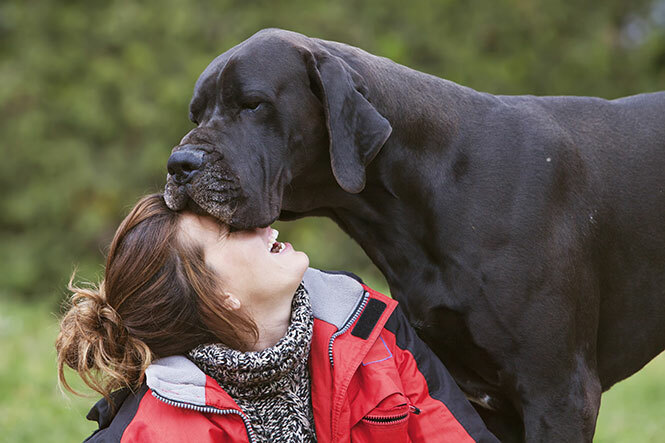 Large and noble, this gentle giant may look imposing, but they’re one of the most gentle-natured dogs around. If you have the space and a willingness to brush his hair regularly, the Old English Sheepdog makes an excellent low energy companion. 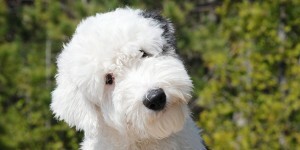 Because of the density of their hair, Old English Sheepdogs do require regular maintenance, and very much an indoor dog, they thrive on the companionship of humans. Fiercely protective of their family, especially children, this breed is loving, caring and extremely devoted. Photos need fixed- your Old English Sheepdog photo is in fact a Bearded Collie and your English Toy Spaniel photo is of a Cavalier King Charles Spaniel.